Harry had never even imagined such a strange and splendid place. It was lit by thousands and thousands of candles that were floating in midair over four long tables, where the rest of the students were sitting. 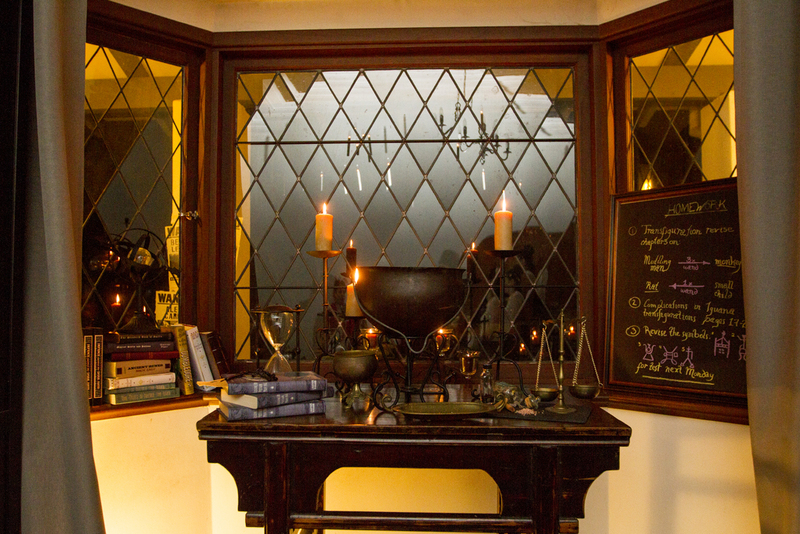 These tables were laid with glittering golden plates and goblets. At the top of the hall was another long table where the teachers were sitting. Professor McGonagall led the first years up here, so that they came to a halt in a line facing the other students, with the teachers behind them. The hundreds of faces staring at them looked like pale lanterns in the flickering candlelight. Dotted here and there and among the students, the ghosts shone misty silver. 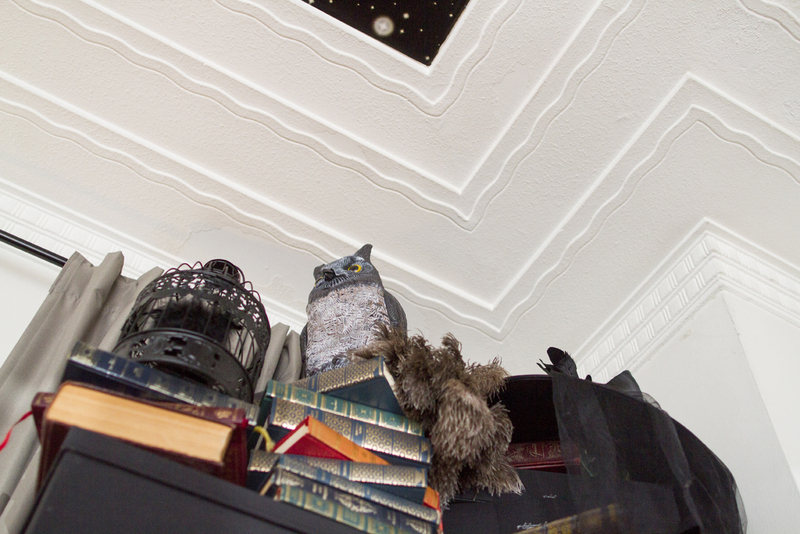 Mainly to avoid all the staring eyes, Harry looked upward and saw a velvety black ceiling dotted with stars. Disclaimer: Amazon Affiliate links through this post. I either bought the item from Amazon or am linking to something incredibly similar to what I used. The world of Harry Potter caught our imaginations 17 years ago. JK Rowling gave us a magical world, with details so complete, and yet embedded in our own world, so it wasn’t so far a stretch on the imagination for us afterall. For many of us, we’ve been waiting for our acceptance letters to arrive since 26th June 1997, when we first opened the pages and dove into Harry’s wizarding world. 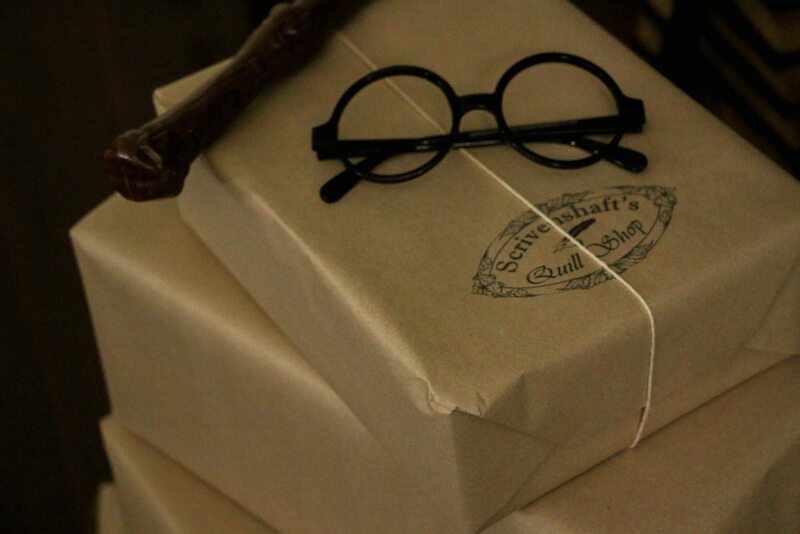 In August, eleven of my friends finally had theirs delivered (by muggle mail so as not to confuse the mailman). 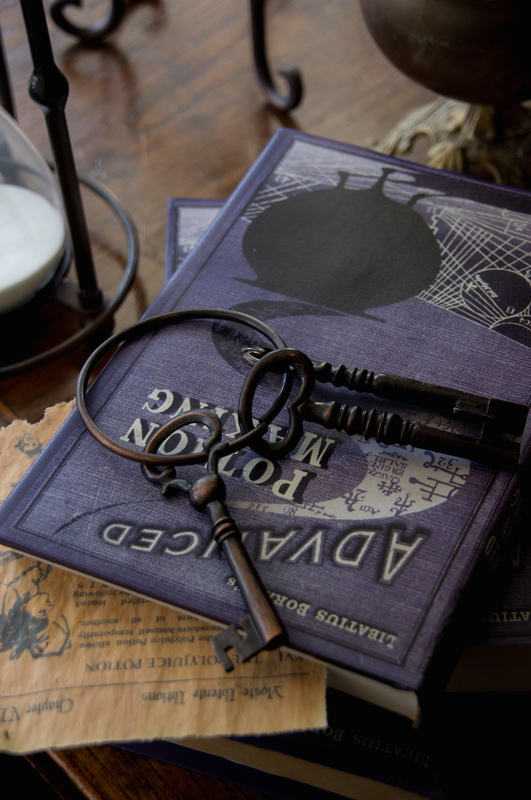 As with the usual acceptance letter, Professor McGonagall informed them of their acceptance into Hogwarts, and attached the uniform and books list. A ticket for the Hogwarts Express was also included, along with a note. 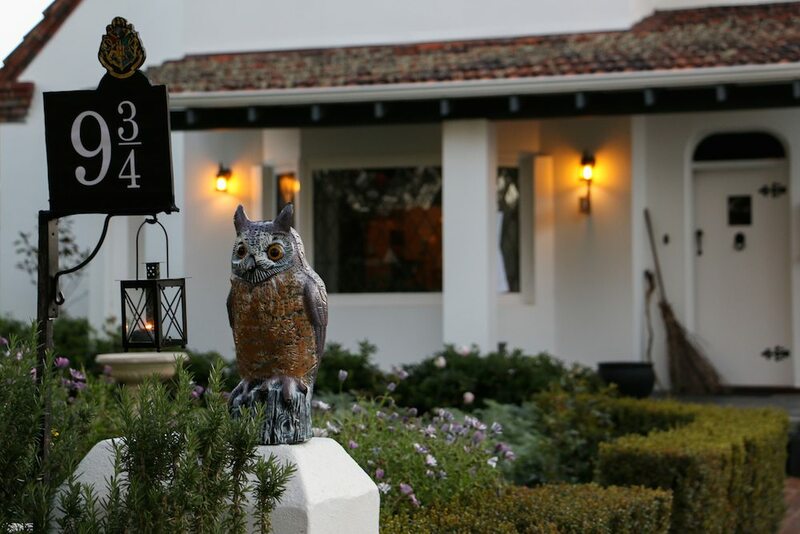 It stated that Platform 9 3/4 had been temporarily relocated to an address in Perth, Western Australia, and included additional contact details in case their owls were unable to deliver their responses. 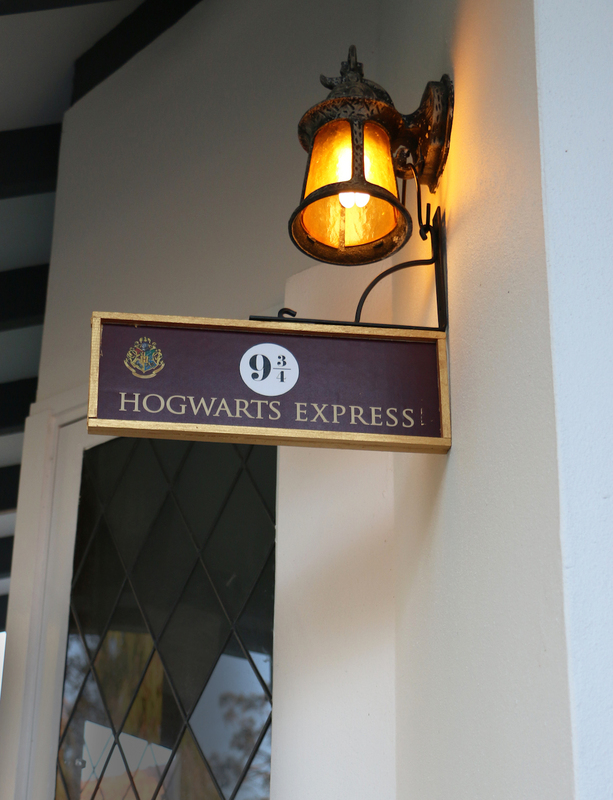 With the relocation of Platform 9 3/4, clear signage was place at the front of the property (although it was the owl next to the sign that had muggles doing double-takes). 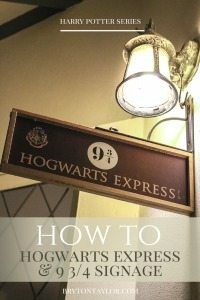 Up on the platform, the entrance was clearly marked with the Hogwarts Express signage. On the train station columns, wanted posters for the likes of Sirius Black, Bellatrix Lestrange, Fenrir Greyback, Amyclus Carrow and Alecto Carrow, warned wizards to keep an eye out. The entrance of Hogwarts was kept simple with a large ornate tapestry hung on the wall. 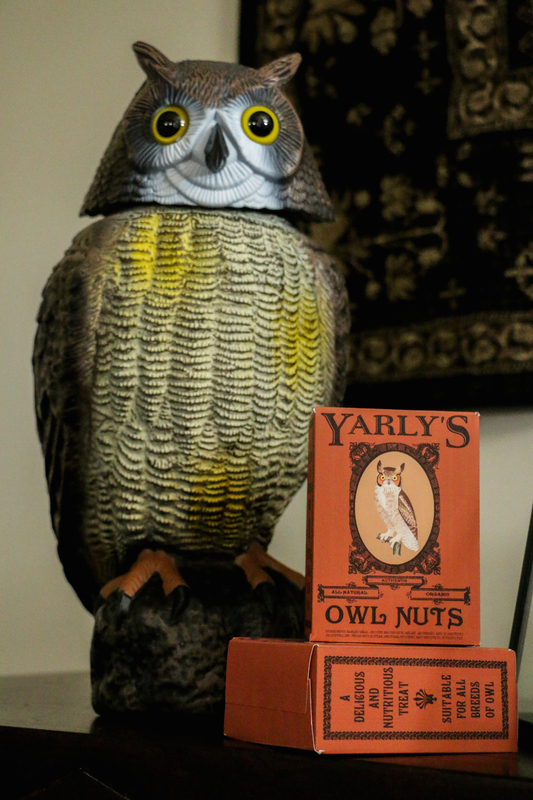 A long table held a variety of candles, while an owl looked on with its box of owl treats, waiting to be fed. 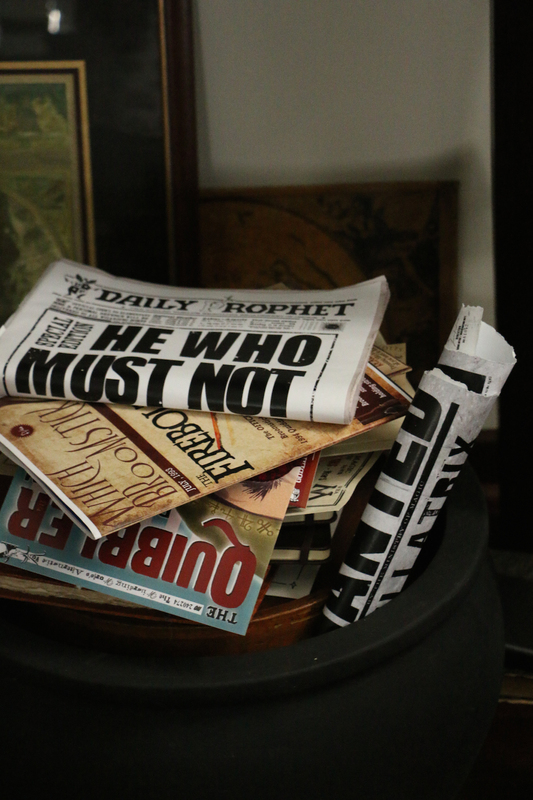 Under the table, student purchases from Diagon Alley (Scrivenshaft’s Quill Shop) sat neatly waiting to be picked up, and a scattering of newspapers (The Daily Prophet) and magazines (The Quibbler, Which Broomstick) have been tossed in a pile. A floor candelabra grandly lit the majority of the entrance. 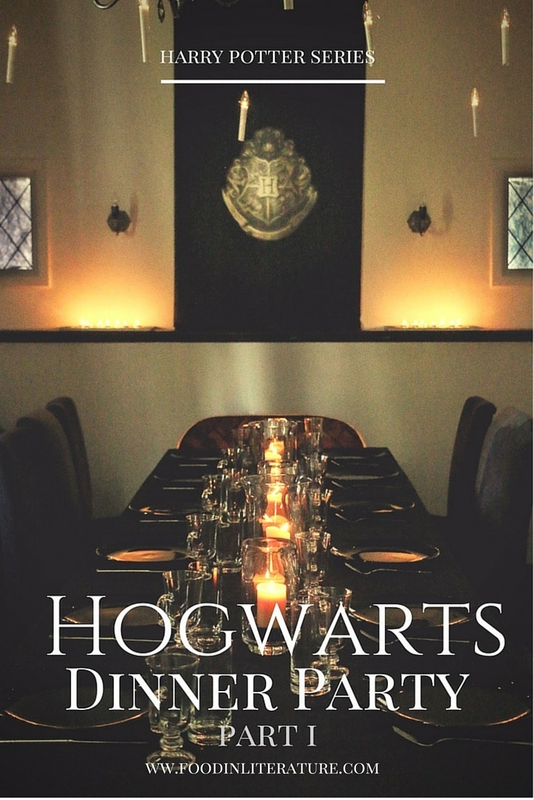 We’ll take you into the Great Hall before showing you the rest of Hogwarts in Part 2, since this is where the students spent most of their evening. 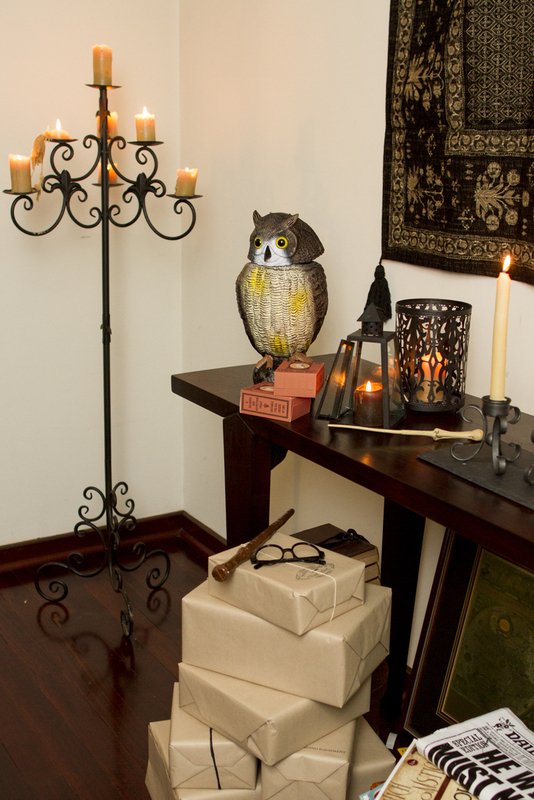 A long black draped table with beeswax candles twinkling in glass vases (even the most careful wizard can be clumsy! 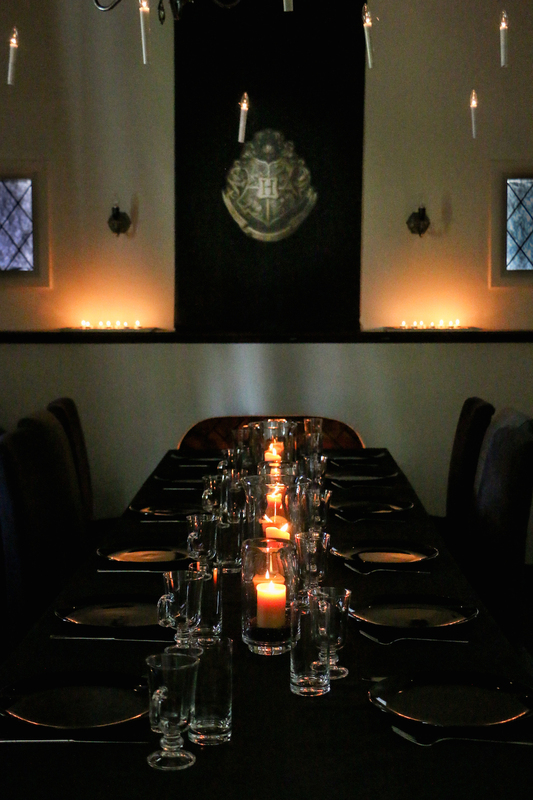 ), stretched down the centre of the room to cater to the 13 guests. 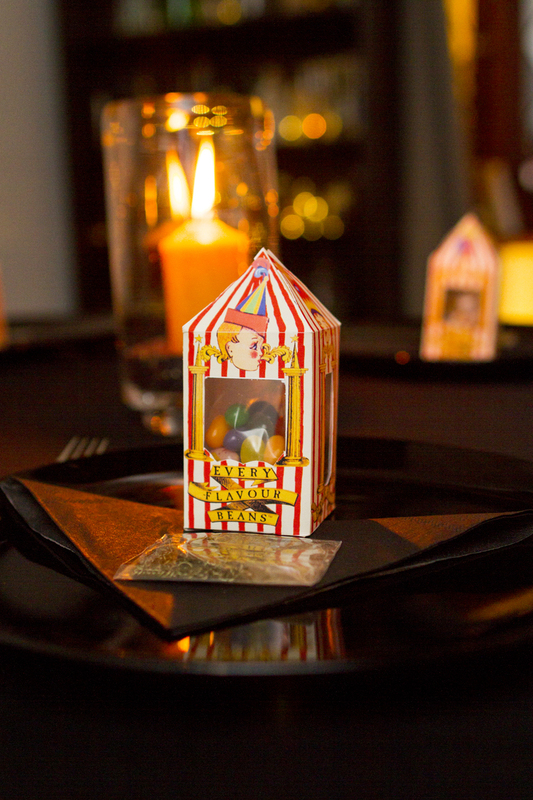 Bertie Botts Every Flavour Beans in Wizarding World boxes and a Deathly Hallows necklace was presented at each place as party favors (you’re never too old!). 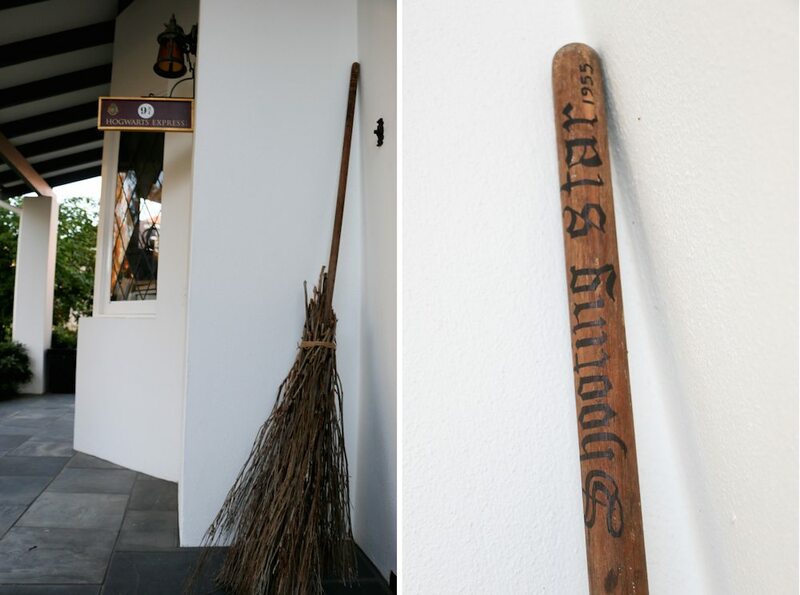 On the furthest wall above the fireplace, the Hogwarts banner makes it clear which wizarding school they were attending. The fireplace was lit up, and beside it, floo powder. Speak clearly, otherwise you might end up in some dark alley! 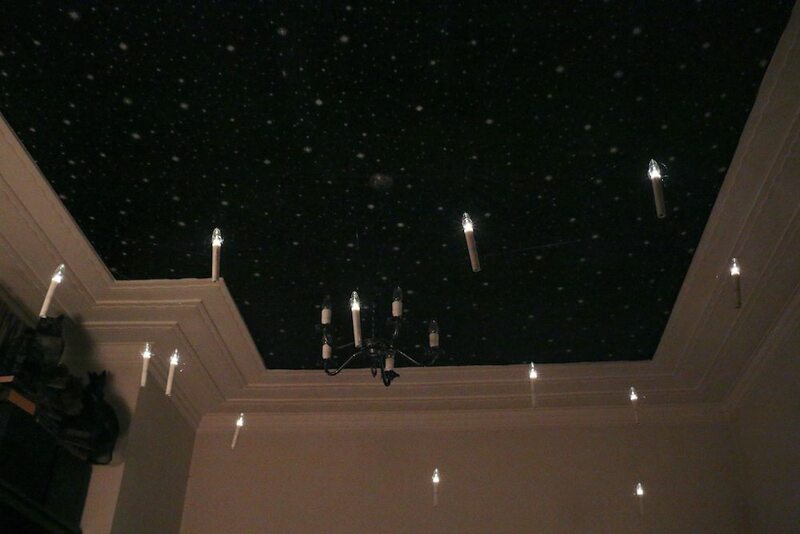 Above, the ceiling disappeared into a night sky while candles (magically flameless) bobbed above their heads. 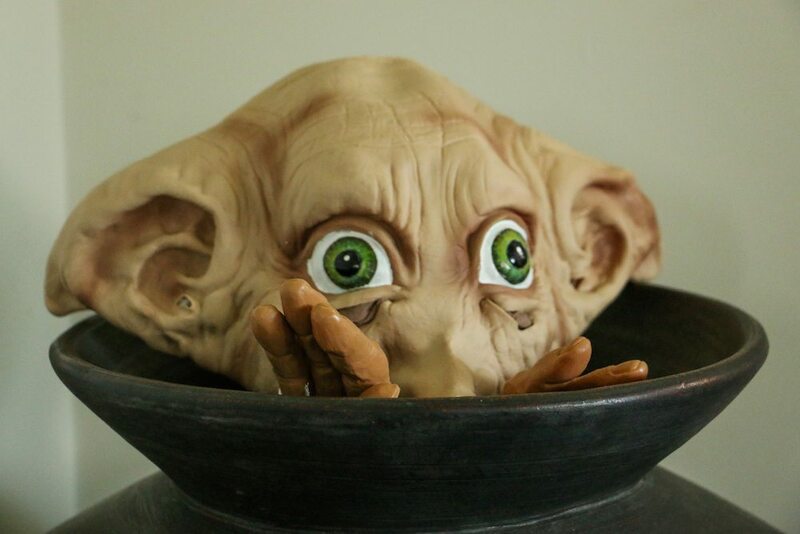 Dobby popped in to see how the dinner was coming along. Fortunately he wasn’t trying to help, so no cakes landed on anyone’s head! In a far corner, the sorting hat waited to determine what house they might be in… (we made our own, but there’s an animated talking one that sorts you into your house on Amazon. A fun party activity!). 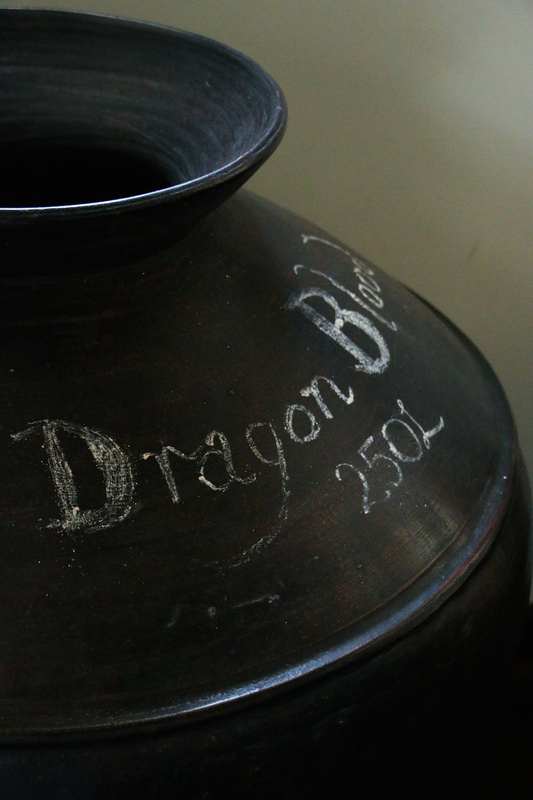 A large 250L vat of dragon blood waited to be used in the close-by potions class. 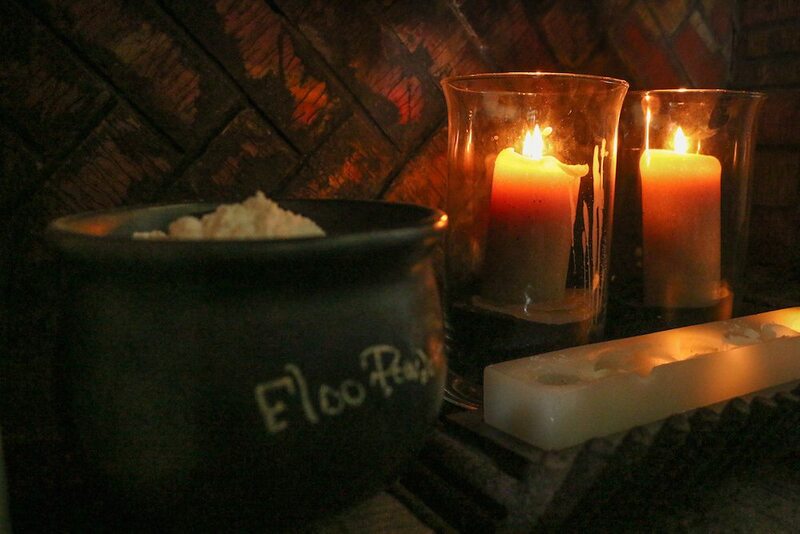 Candles blazed around an old cauldron, while someone seems to have left the ingredients halfway through doing a potion! And don’t forget, transfiguration homework is due next week. 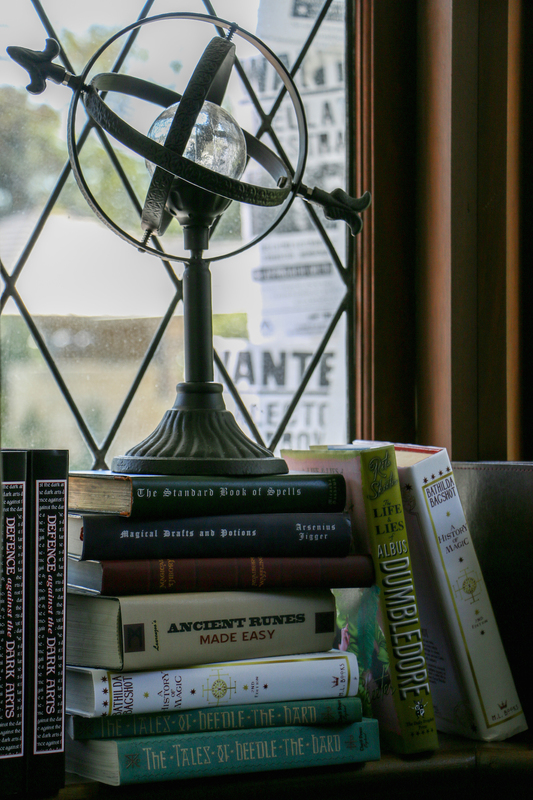 A pile of additional ‘light’ reading– perhaps left behind by Hermione? 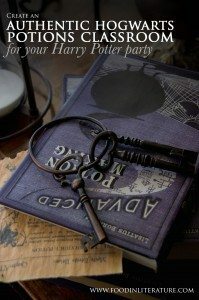 I absolutely adore your Harry Potter posts! Love it! Thanks Leanne 🙂 I always have fun creating them! This looks absolutely amazing! 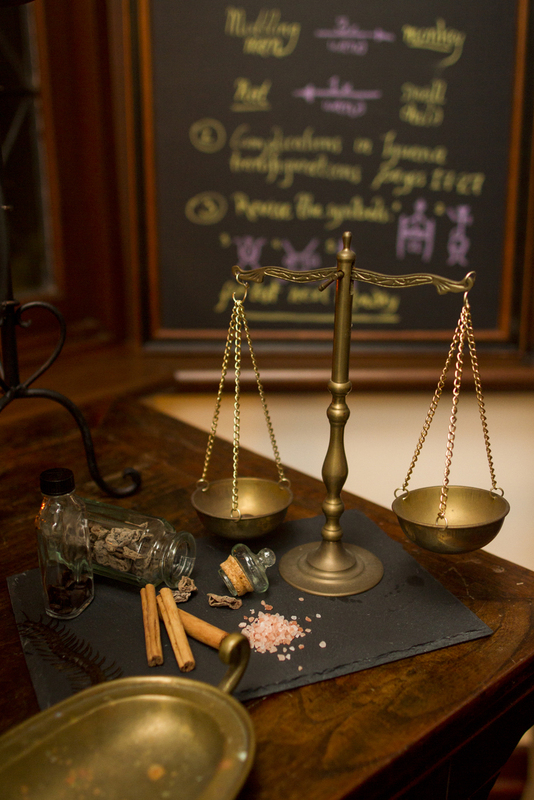 All the detail you’ve put into everything makes me feel like I’ve took a peek in Hogwarts; I can only imagine how transported your guests felt. Great job. OMG! How long did this whole thing take to prepare? THIS IS AMAZING!! I adore your Harry Potter posts! I am planning a Harry Potter themed birthday party, and I found you on Google. These posts gave me some ideas! Hope to see more wonderful posts! Oh my word! I am so impressed with all of th details put into this. I want to go to this party!! Truly increadable! Great post and beautiful party! I am making your pumpkin juice for Harry Potter’s birthday tomorrow. 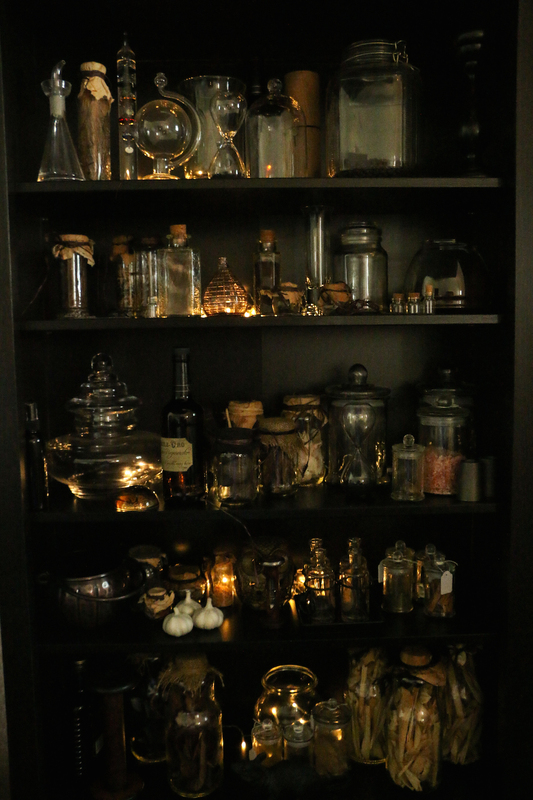 How did you hang the floating candles? Fishing line? Hope you enjoy! I can never get too much of it 🙂 Yup, lots and lots of fishing line! I can’t express my happiness when I saw this post and your blog. A HP fan from India. Thanks 🙂 A lot of the paper printables were from TheRPF.com. You need to sign up (free) but they have a paper section for Harry Potter. People have worked to recreate book covers, packaging etc. 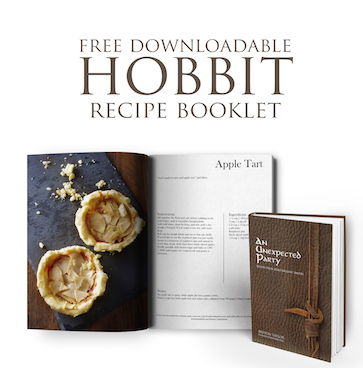 Very handy if you’re throwing a party! I am a total nerd for harry potter. 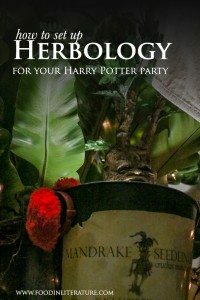 My friend had a harry potter 11th birthday party (same as harry in the first book) and omg we went on platform 9 3/4 and had to go to the wand shop, we went to classes like potions and dark arts everything and we lived in a private neighborhood in Hawaii so it took a little while to get everything in for her party cause we had to not only get everything from the book and movies, but we had to order majority of our stuff online cause you know we’re on an island and owls have a little harder getting to us plus its a process. Anyways I wanna redo our Harry potter experience and now your ideas makes it a whole lot easier to see everything and how much work it will take again. But Love your website!! 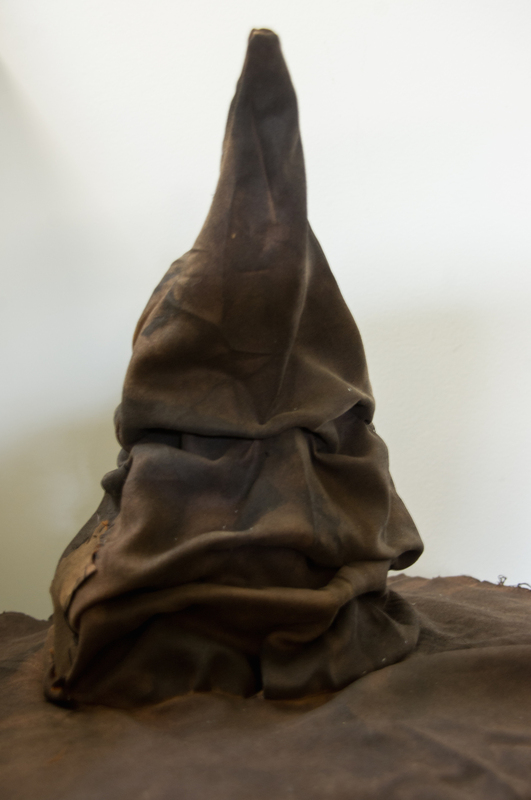 Your Sorting Hat looks very authentic. Did you make or purchase? HELP! 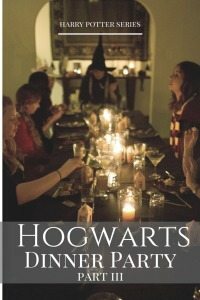 I’m giving a HP Bridal Shower this weekend. Your site has been a HUGE help. I love the video showing the outside of the house then the different decor ideas inside. But I also want that music that u hv playing. What is that? I wanna play it as people arrive! Wow, how did you do the starry ceiling, was it painted? Brilliant job on all of the Harry Potter themed things and I can’t wait to see more. Thanks 🙂 It’s a roll of starry sky plastic from Amazon and diamontes to add extra shimmer. 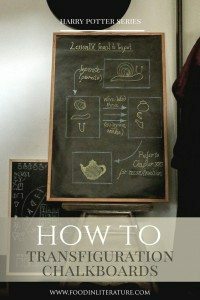 Do you have a page on how you made your sorting hat? I’ve not cared for a lot of the ones online (except the actual leather one I would have neither the time, patience, or talent to create). 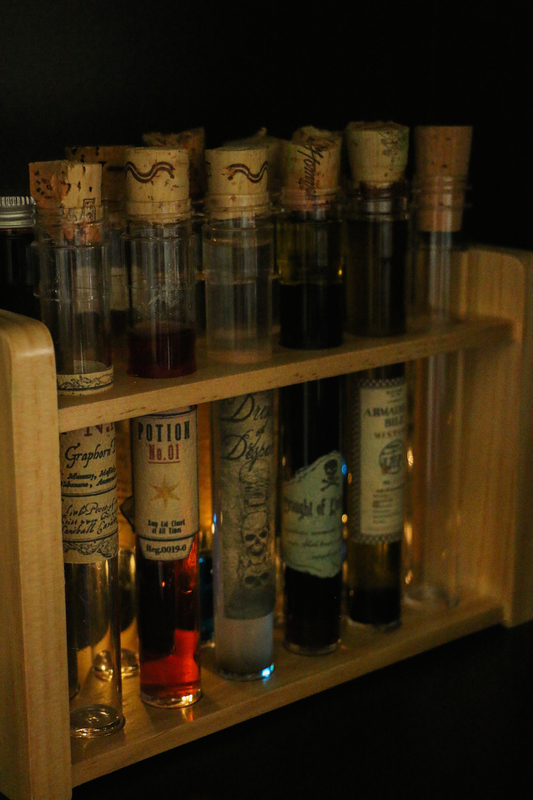 Would love to know how your made yours! Hi Rachel, unfortunately, I don’t have a page on how to make the sorting hat. I’ll add it to my to-do list for future posts! I literally loves everything on your blog! It’s amazing!!! 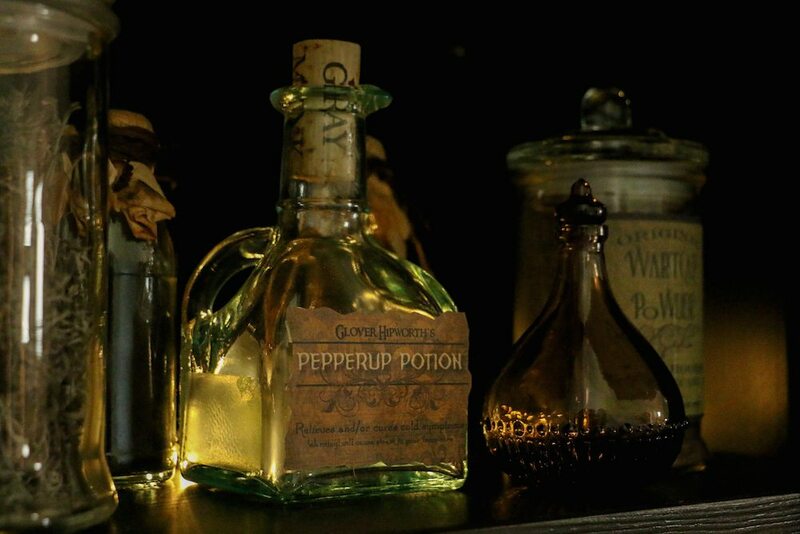 Especially all the HarryPotter things, may i knw where u get HarryPotter’s very thick book property such as bathilda bagshot’s a history of magic book, rita skeeter’s the life and lies of albus book, defense against the dark arts etc and daily prophet/quibbler? And do you have a tutorial for mandrake? It’s very cute i really want to make it!! 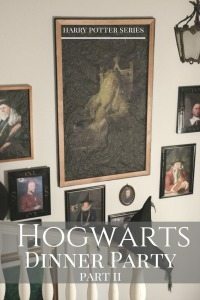 Most of the book covers I found on therpf.com (slightly hard to find the links and not sure if I can link directly, so give yourself time to hunt around!). And I haven’t done a tutorial on the mandrake (yet). Was hoping to make one this year and film and photograph the process.